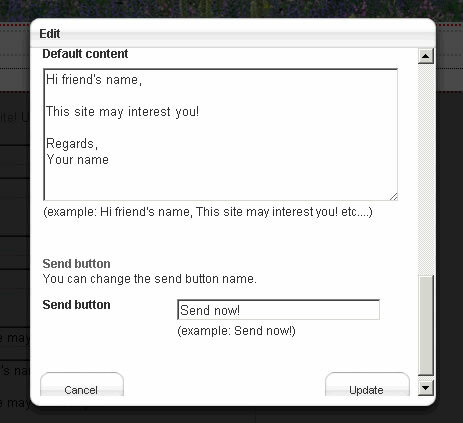 This addon adds a Tell A Friend form on your Concrete5 website. Easy to use! 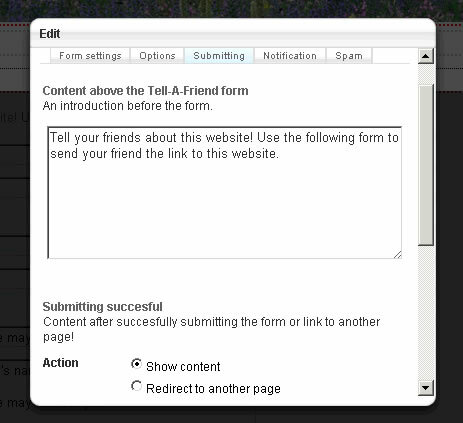 Install and change the different options for your form. 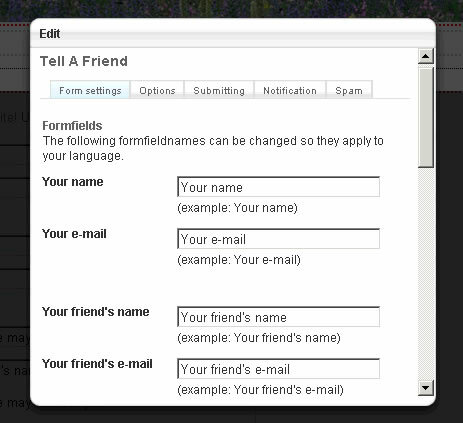 You can change fieldnames and add default text to the personal message. 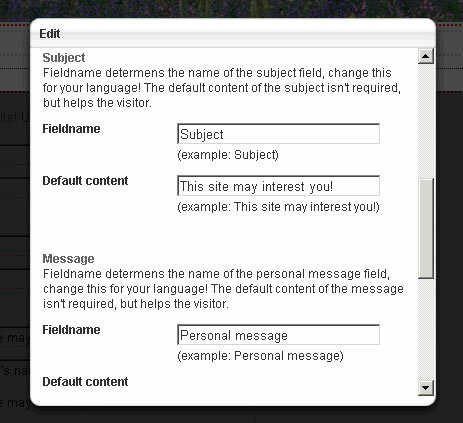 With the submit options your can redirect the form to a certain page within your Concrete5 website or just add a message. 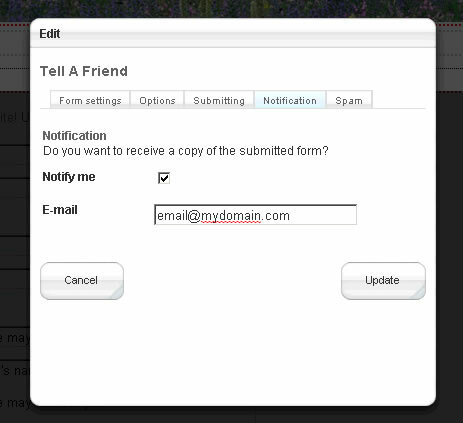 With the notification options you can send yourself a mail if the Tell A Friend Addon was used! 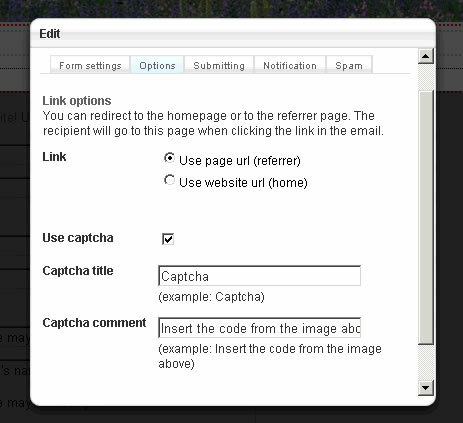 Change formfield names, enter default messages, add/remove captcha, link options, redirect after submit or just show message, notification option.